Library Pockets aren’t just for checking out books. 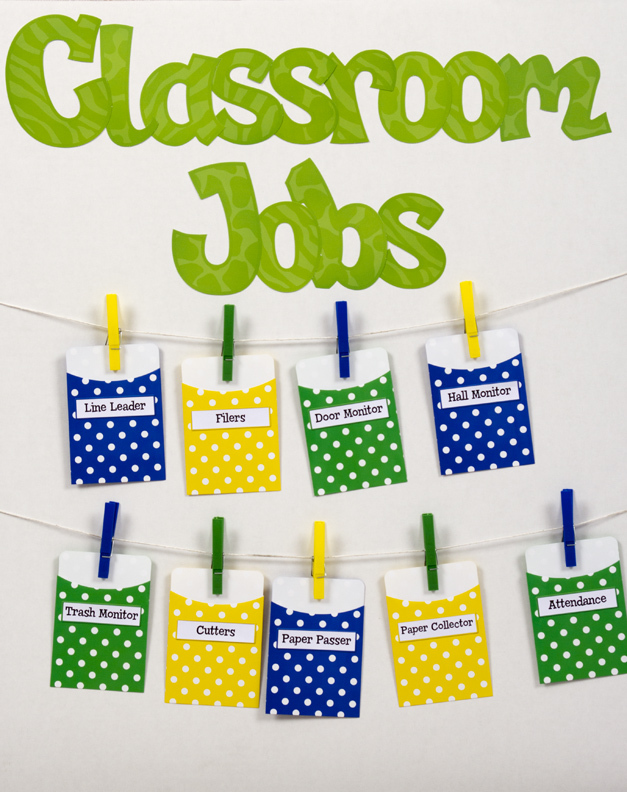 They are so versatile, you can use them in many creative ways in the classroom. As teachers start preparing for back to school, organization is key. 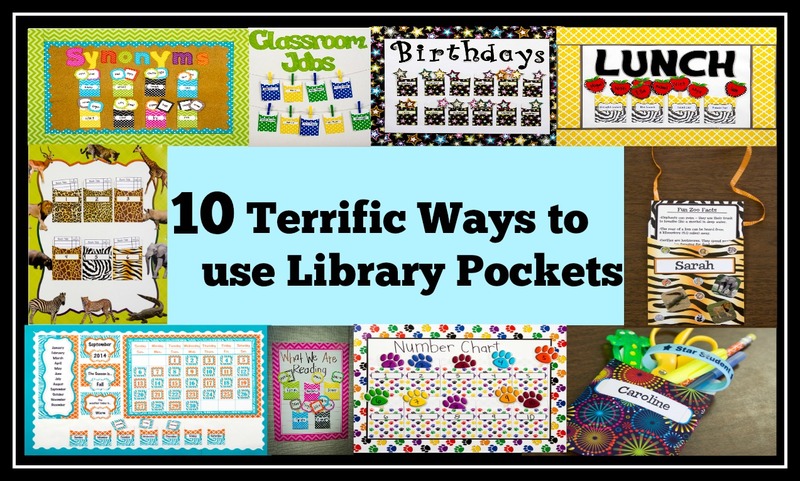 You can use library pockets to stay organized with a classroom job chart, birthday bulletin board and more. 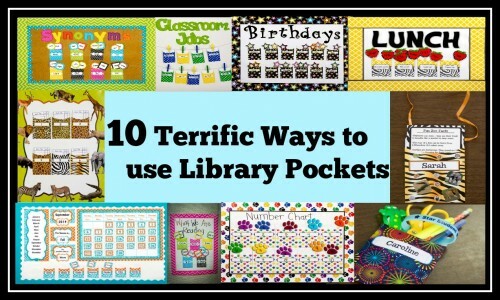 Check out a few of our favorite library pocket ideas for some classroom inspiration. 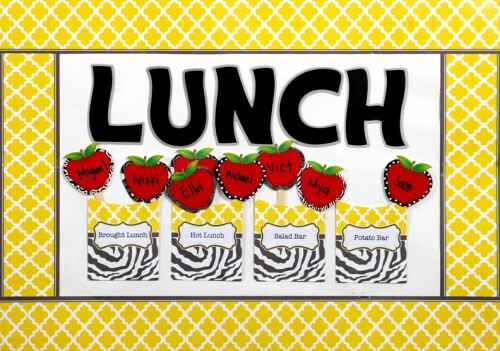 Keep track of lunch count by labeling each library pocket as: brought lunch, hot lunch, salad bar, and potato bar. 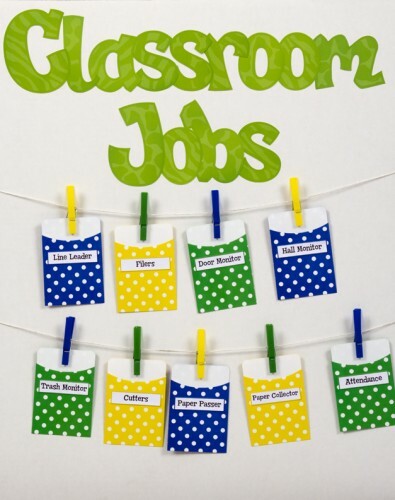 Write each student’s name on an accent and glue to a craft sticks. Place craft sticks in the appropriate lunch pocket for each day. Use letters to spell out “Lunch”. Complete by adding a coordinating border trim. Surprise students with a reward by writing their name on a library pocket and filling it with rewards, special treats or school supplies. Treat pockets filled with pencils & erasers are a great first day of school gift. Create a birthday bulletin board by using decorative letters to spell out “birthdays”. 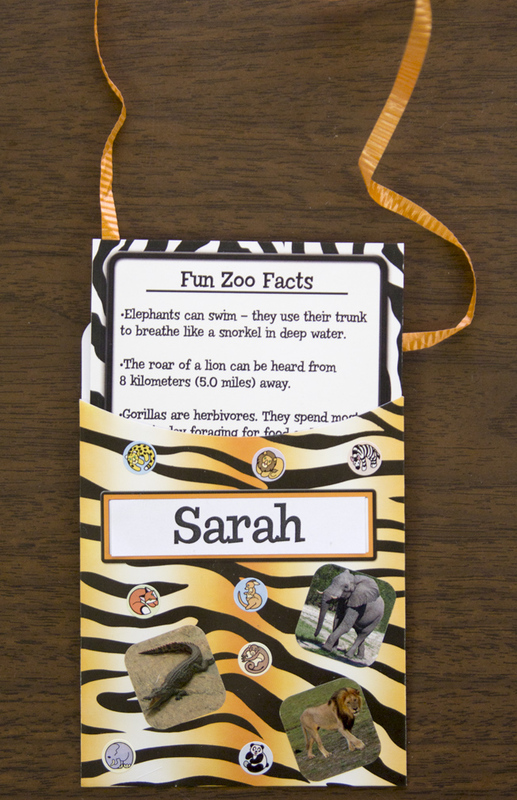 Label each library pocket by month and attach to a chart or bulletin board. Write each student’s name on a mini accent and glue to craft sticks. 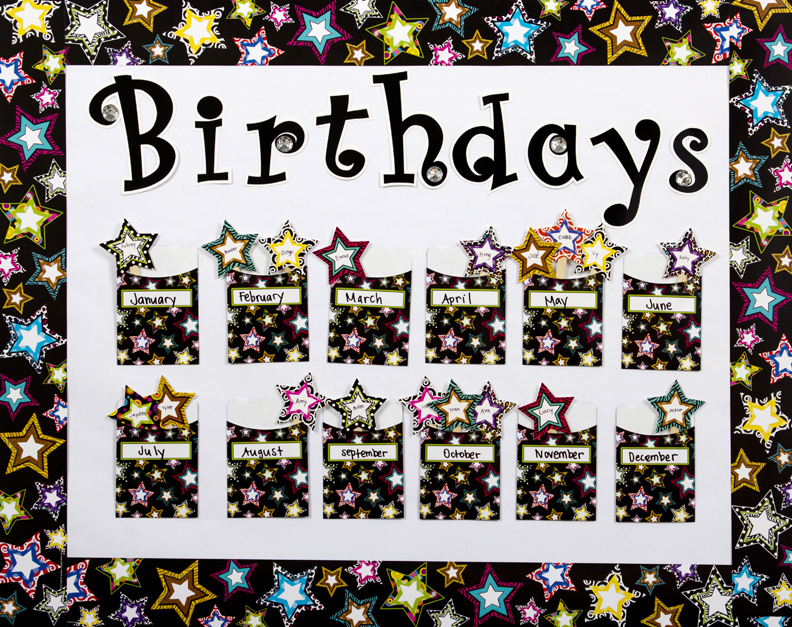 Place each student stick in the library pocket of their birthday month. Use coordinating border trim to complete the look. 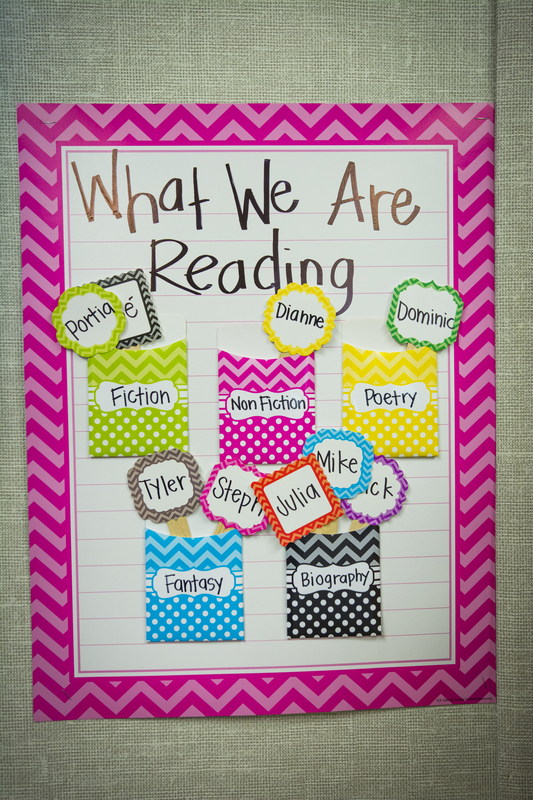 Label each library pocket with reading genres such as, fiction, non-fiction, poetry, fantasy, and biography. Glue library pockets to a large chart. 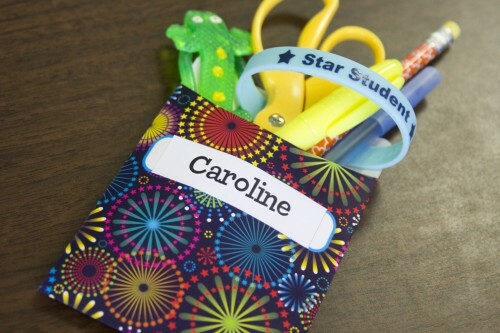 Write each student’s name on a mini accent, and glue each accent to a craft stick. Place name sticks in appropriate category pocket. Hang a calendar grid with calendar cards. 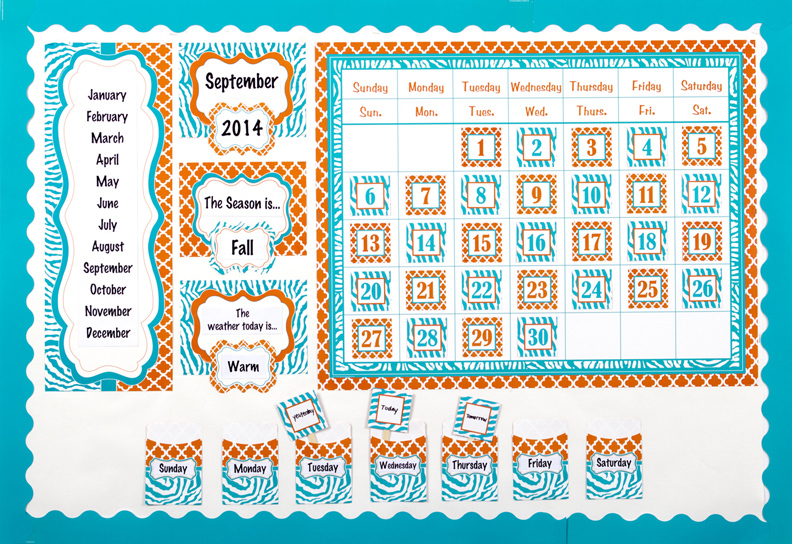 Below the calendar, write the days of the week on each library pocket. Write yesterday, today, and tomorrow on mini accents and glue to craft sticks. Use Create & Decorate pieces to write the current month, season, and weather. Put the whole look together with border trim. Add each student’s name to a library pocket. Punch a hole on the top left and top right of the library pocket. Loop ribbon around the holes and secure with a knot on each side. Decorate with stickers and mini stickers, and give to students for an easy way to hold fact cards for field trips or special events. 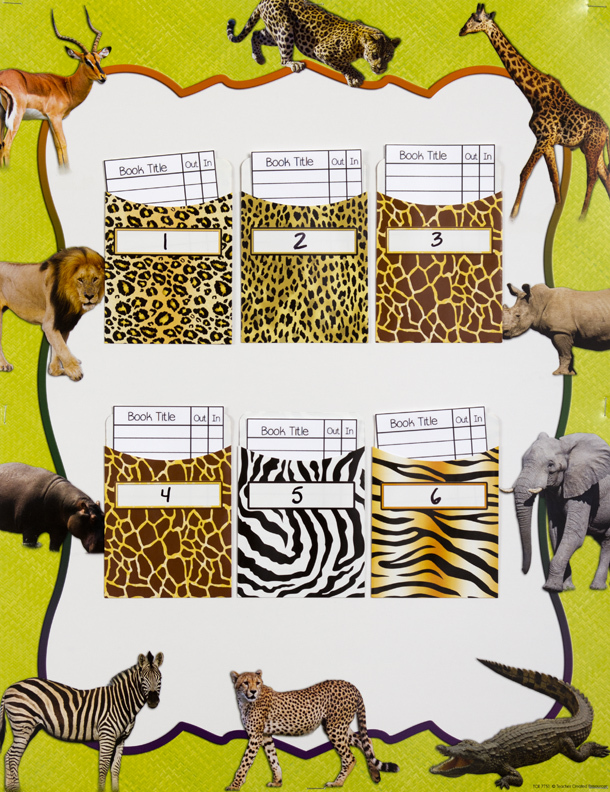 Create a number matching chart by writing numbers 1-10 on each library pocket. Glue library pockets on a chart. Write numbers 1-10 on accents, and glue them onto craft sticks. Have students match the numbers by placing the numbered craft sticks in the corresponding pocket. Other varieties of this activity include using even or odd numbers, counting by fives, etc. 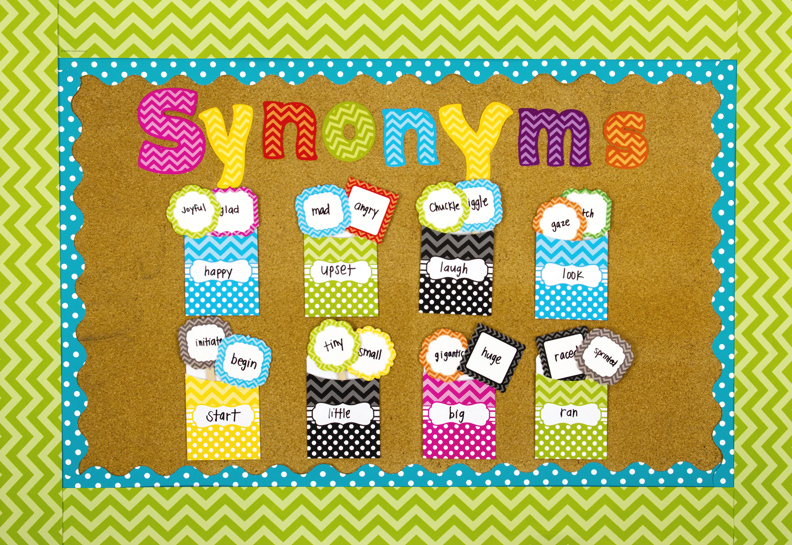 Make a synonym wall by writing a word on each library pocket. Stick the library pockets on a bulletin board. Write synonyms of each word on accents, and attach the accents to craft sticks. 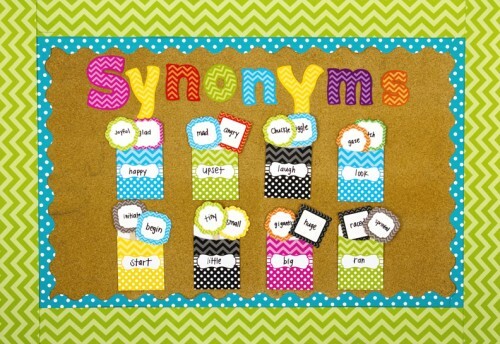 Have students place the synonym sticks in the corresponding word pocket. Embellish with decorative letters and scalloped & straight borders. Assign each student a number. Label each library pocket a number to represent each student. 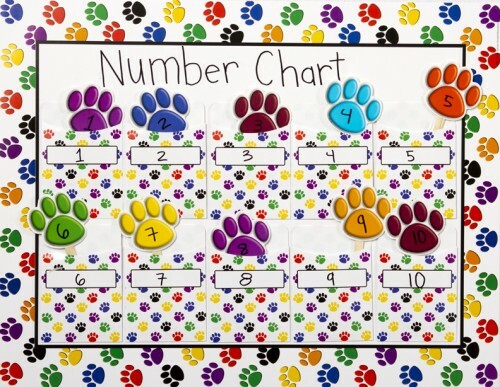 Place on a chart and hang in the library or reading center. Insert a library check-out card in each pocket. Each time a student checks out a book they write down the book title, the day it was checked out, and the day it is due back.